Scientists from three UK universities are to test one of the fundamental laws of physics as part of a major Europe-wide project awarded more than £3m in funding. Experts from the University of Southampton, Queen’s University Belfast and UCL have formed a consortium with European universities and British photonics technology company M Squared to test the limits of one of the core principles of quantum mechanics – the mind-boggling physical laws that allow microscopic particles such as atoms and electrons to be in two places at once. 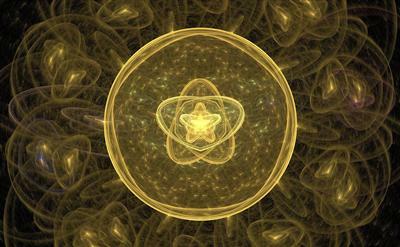 The consortium has devised an ambitious experiment to test the so-called quantum superposition principle (QSP) – the law that allows microscopic systems to appear in two different, perfectly distinguishable, configurations at the same time. Its experiment will involve a tiny particle of glass, one-thousandth of the width of a human hair, being levitated by an electric field in a vacuum at a temperature close to absolute zero (-273C). A laser will be shot at the particle, and the scattering of the laser’s light measured for signs of movement of the particle. If there is no movement, it means that quantum mechanics still apply at this scale and there is no universal background noise. Professor Hendrik Ulbricht, of the University of Southampton, said: “The vast majority of phenomena and events that occur in our daily lives can be accounted for by the laws of physics established by Isaac Newton, but the microscopic world obeys the rules of quantum mechanics, which are so strange that they can seem counter-intuitive. Professor Mauro Paternostro, of Queen’s University Belfast, said: “Our research programme could prove that we do not have to deal with extremely small systems in order to see quantum effects, which is currently the main limitation of quantum technology. Dr Graeme Malcolm OBE, CEO and co-founder of M Squared, said: “This fund for TEQ is an excellent example of the EU’s continued support of quantum research and allows established thinking behind quantum mechanics to be tested to its limits. “If this work does prove that quantum effects can be seen on a larger scale, it widens the potential commercial applications of quantum technology – in particular, the areas of sensing and metrology will see significant commercial opportunities in the coming decades. It's an honour to be part of the team exploring the potential of technology operating at the very limits of physics.